Blend steamed cauliflower with water, divided in several batches if needed. Add to soup pot. Add coconut milk and seasonings. Warm to desired temperature. Add fresh squeezed lemon juice. Serve in bowls with garnish, if desired, or enjoy as is. 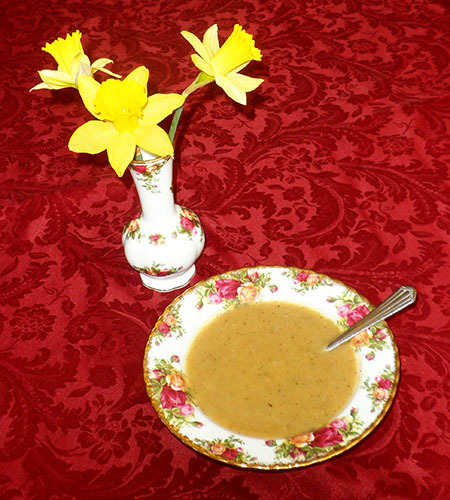 *Make Your Own Chicken Broth – recipe here. In a large stockpot or Dutch oven, heat the coconut oil over medium heat until hot then add the onions and carrots and sauté about 7 minutes, stirring frequently. Add the red lentils, coriander and cumin, mixing well. Cook and stir for 1 minute. Add the chicken broth and bring to a boil. Cover, reduce heat to low and simmer 20-25 minutes, or until the lentils and carrots are tender. Remove the pot from the heat and cool slightly. Puree the soup in the pot using an immersion blender or in batches in a food processor or blender. If you did not use an immersion blender, return the processed soup to the pot. 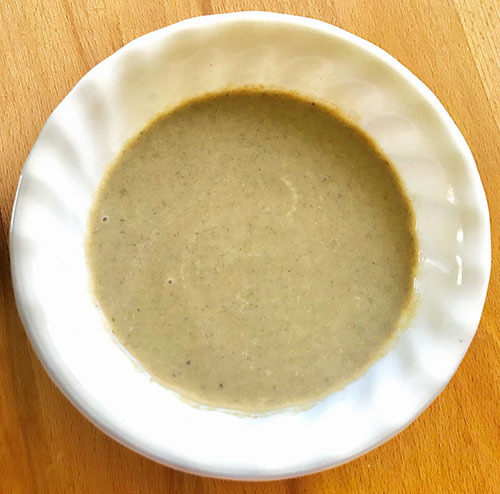 Stir in your milk of choice, season to taste with salt and pepper, and reheat gently to the desired serving temperature, being careful not to boil the soup. Garnish each serving with a sprinkling of toasted coconut flakes or fresh minced parsley, if desired. 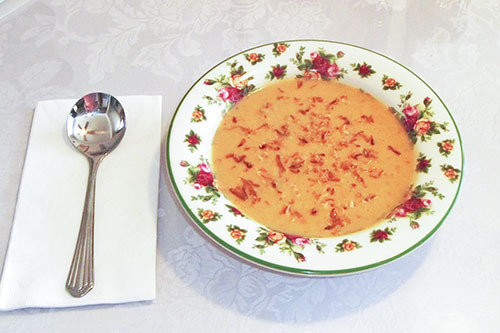 Note: The soup in the photo was made using whole milk and garnished with toasted coconut. Place squash in a large pot and set aside. Whisk together coconut flour and the 2 cups of water; set aside. Sauté the diced onions with the thyme and ginger in the oils until clear and tender. Cool slightly. Combine the coconut cream concentrate, black pepper, salt, and fermented soy sauce with the squash, onions, and flour/water mix in the pot. Heat to just under a boil and simmer 20 minutes. Add coconut cream concentrate and optional cheese. 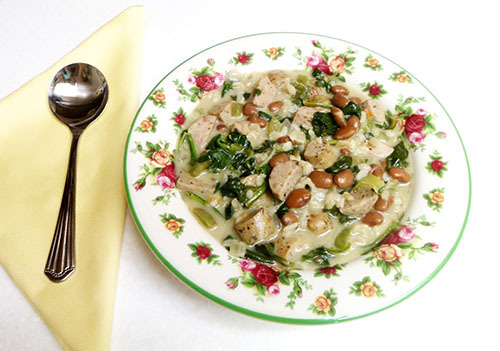 Diane from Hubert, NC won $50 for this recipe and photo! Submit your recipes and photos here! Heat coconut oil in a soup pot over medium heat and saute the onion, bell pepper, and garlic until soft, about 8-10 minutes. Add the cumin and pinto beans, stir well. Add the coconut milk, spinach, sausage, and rice. Cover the pot and heat to serving temperature. Season to taste with salt and pepper. Note: If a thinner soup is desired add more coconut milk or water. Heat coconut oil in a soup pot over medium heat. Add the green and red onions, garlic, and pink salt. Saute, stirring occasionally, about 7 minutes, or until onions are soft and translucent. Add the cumin, and stir constantly for 30 seconds. 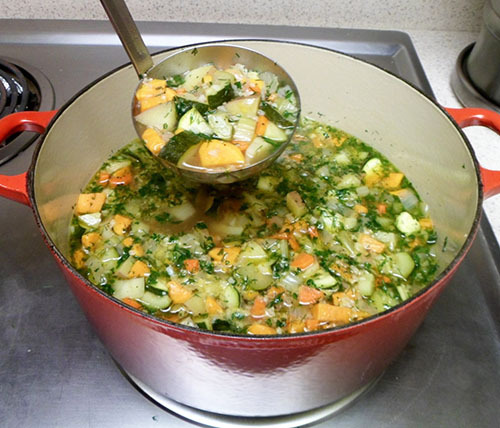 Add the broth, zucchini, and sweet potato. Add pink salt and pepper to taste. Bring to a boil, then lower heat and simmer, uncovered, for 30 minutes. Add the parsley during the last five minutes. 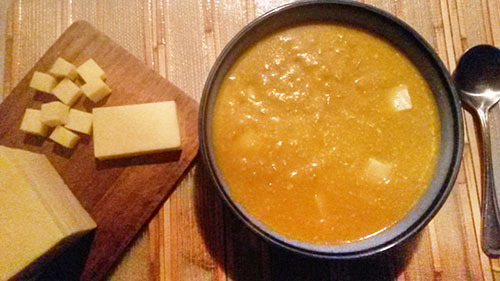 Puree soup using an immersion blender or in batches in a blender. 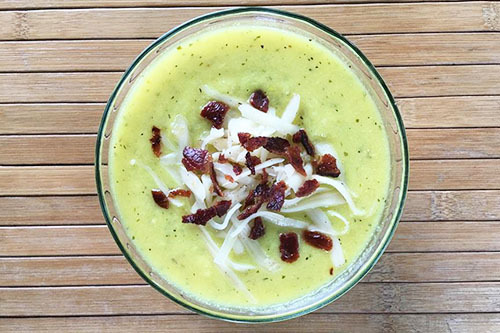 If a blender is used, return soup to the pot and reheat gently. 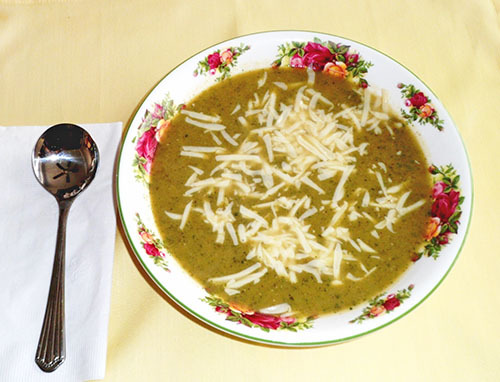 Ladle into bowls and garnish each serving with shredded cheese.